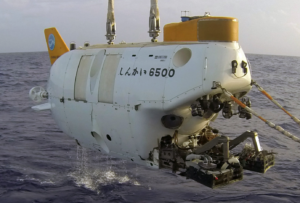 As new research and innovation pushes the frontiers of exploration of the deep ocean and opens up new possibilities, what challenges do we face? And how can we responsibly seize these new opportunities? These were just some of the topics covered at the Parliamentary and Scientific Committee discussion meeting and reception on Monday 23rd April, held in partnership with the Natural Environment Research Council (NERC), part of UK Research and Innovation, and chaired by Stephen Metcalfe MP. The regulation of our oceans is a key challenge, made more complex by their inherently international nature. Lowri Mai Griffiths, Head of the Maritime Policy Unit at the Foreign and Commonwealth Office, shared her experiences of international negotiations to ensure conservation of the high seas, highlighting the key role of scientific evidence in new international arrangements. The Biodiversity Beyond National Jurisdiction (BBNJ) process has been ongoing since 2004. 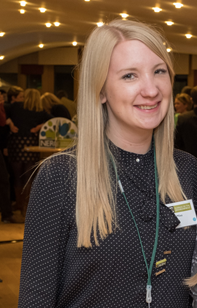 Lowri highlighted some of the factors being considered, such as how the UN Sustainable Development Goals can be met while at the same time increasing Marine Protected Areas, referencing the most recent UK Government commitment to the BBNJ in the 25-Year Environment Plan. One of the issues for consideration is marine noise. 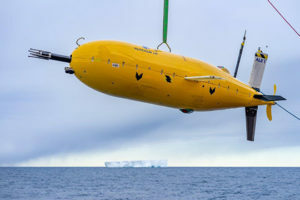 There is no doubt the ocean is becoming an increasingly noisy place, with human activities such as shipping, hydrocarbon exploration and military sonar all contributing. However, the ocean has never been silent, with waves, underwater eruptions and echo locating marine mammals all contributing to the natural soundscape. 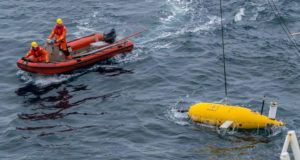 Professor Russell Wynn, Associate Director at NERC’s National Oceanography Centre and Chief Scientist of Marine Autonomous and Robotic Systems, showcased new and innovative technologies being developed to monitor marine noises. The aim for research in the future is to explore areas where the noise is likely to get louder, for example Antarctica and the Arctic, and investigate the impact of increased marine noise in these areas. 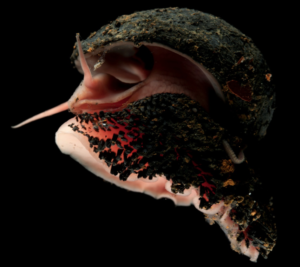 Marine mining in the deep ocean is a hotly-debated opportunity. 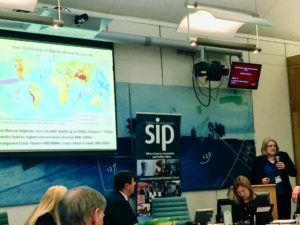 Dr Tracy Shimmield, Co-Director of the Lyell Centre of NERC’s British Geological Survey, highlighted the increasing global demand for metals and minerals that could be met through deep sea mining. She also outlined the importance of identifying the many potential environmental impacts on the marine environment. For example, these depend on how deep into the ocean you go. The impacts at the surface could include light, noise, pipe failures and routine discharges; deeper down, they could include disturbed habitats, suspended particulate material, and light and noise. Tracy highlighted that it is unlikely that recycling can meet the increasing demand for cobalt and nickel for use in technologies such as smartphones, which can be mined from the deep ocean floor. UK and EU institutions are currently at the forefront of independent research to understand the environment, habitats and resources that could be affected by an increase in marine mining. The UK sea floor ocean territory is 27 times larger than our land territory, and most of that is deep ocean, more than 1km deep. Dr Jon Copley, Associate Professor of Ocean Exploration and Public Engagement at the University of Southampton explained how scientists are exploring this vast expanse, using a new generation of autonomous underwater vehicles (AUVs) to reach new depths of the ocean and cover large areas without being connected to a ship. He emphasized the current need to continue human-directed investigations, in occupied or remotely operated vehicles, and highlighted the importance of using this understanding to inform policy. Jon argued that we can make a choice for our oceans’ future. The speakers inspired wide-ranging discussions, including how to regulate and solve the issue of plastics as a key pollutant of our seas, which has gained high public awareness recently. The Commonwealth Heads of Government Meeting, held just before this event, saw countries across the Commonwealth pledge to eliminate single use plastic, in an ambitious bid to clean up our world’s oceans. Into the Deep – Discovering Our Oceans, asked how can we inspire public engagement with broader challenges facing our seas to inspire further positive action? Stephen Metcalfe ended the meeting by highlighting the connection to a forthcoming Committee meeting on behavioral science, reinforcing the interconnected nature of the solutions to the challenges facing our oceans today.